Gearbest had some great promotions all through the year and even a few days before Christmas, the online store is working on making its customers’ wishes come true. In order to do this, Gearbest offers its customers the possibility to choose their three favorite items from the site before the Christmas Gifts countdown ends, tell Santa about them and share their wishes, submit their wishes to Santa and wait for Santa to reply. The last round of the game, which will end with Lucky draw 3 will end on December 22, so complete these steps as soon as you can, and be one of the customers whose one wish will be granted by Gearbest. If you are one of the eight people who will be the winners of the third Lucky Draw, you can choose one product from your wishlist and get it for free. Besides the fact that customers can win their favorite product, Gearbest also offers them the possibility to buy the items they wish to own for special flash sale prices if they are not lucky enough to buy them. The prices are so low, that people could almost say they got their products for free. Customers can choose between great smartphones, tablet PCs, computers and networking accessories, consumer electronics, smartwatches, automotive gears, LED lights and flashlights, electrical products and tools, home and garden accessories, cool mobile accessories, clothing, toys and outdoor gears, all for special prices. The most popular smartphone in the lineup offered by Gearbest is the 2015 flagship killer, the OnePlus Two. 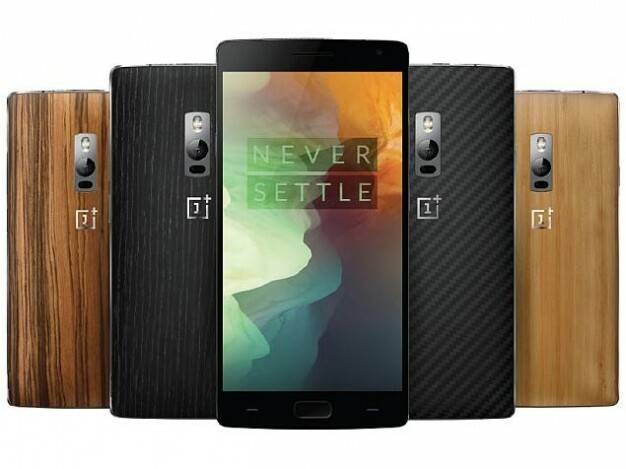 The aluminum and magnesium allow used to build the body of the smartphone, the stainless steel accents and the Gorilla Glass used for the protection of the display of the OnePlus Two all come together in creating a premium feel smartphone, which is still affordable by the majority of customers. The smartphone is powerful also, being powered by a Qualcomm Snapdragon 810 octa-core processor and an Adreno 430 GPU, which are features that are common in some of the high-end smartphones that were released this year. The smartphone includes 4GB of RAM and 64GB internal storage, which is quite impressive given the fact that the majority of the flagship smartphones of this year feature only 2 or 3GB of RAM and 16GB or 32GB internal storage. The 13MP back camera and the 5MP front-facing selfie camera are also nice features of the OnePlus Two since they will allow users to capture all the important moments of their lives. The 3300mAh battery is also larger than the ones featured by other flagship smartphones, but it is smaller than the ones featured by other, budget phones, that are on sale on Gearbest. All in all, the OnePlus Two is a great smartphone, and users can now purchase it without an invite for only $389.99, which is quite impressive. We mentioned that there are smartphones with a lot greater batteries than the one of the OnePlus Two. One of these smartphones is the Oukitel K6000, which is available for only $119.99 on Gearbest if you order it until December 22. This smartphone is not as impressive as the aforementioned flagship killer, as far as specs go, but it compensates with its huge, 6000mAh battery that will easily last through a whole week and then some, on a single charge. The 5.5-inch 720p screen of the smartphone and the aluminum and magnesium alloy body of the device form a truly eye-catching smartphone. The smartphone is not as powerful as the OnePlus Two or other flagships of 2015, but its MTK6735 64bit quad core processor clocked at 1GHz, the Mali720 GPU and the 2GB of RAM combined with the 16GB internal storage and up to 32GB external storage will definitely be more than enough to satisfy the needs of the majority of users. The 8.0MP ( Interpolation to 13.0MP ) and the 2.0MP ( Interpolation to 5.0MP ) cameras of the smartphone will enable users to capture great photos and videos, so they don’t have to compromise on the quality of their pictures. As I already stated, the most impressive feature of the Oukitel K6000 is its huge battery, which combined with the low price will definitely convince a lot of customers to opt for it. 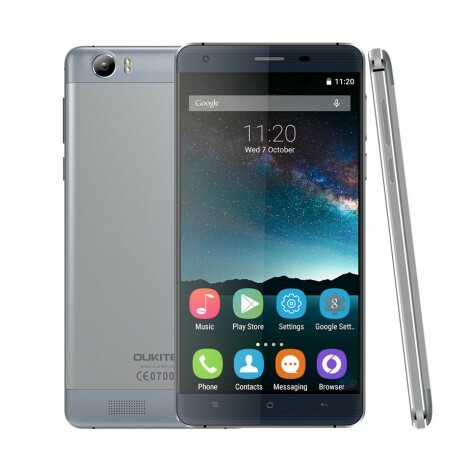 Gearbest also offers a great number of other smartphones, like the Xiaomi Mi4C, the Xiaomi Redmi Note 2, the Xiaomi Redmi Note 3, the Ulefone Paris, the Ulefone Be Touch 2, the THL T6C, the Cubot X17, the Blackview BV5000, the ZTE Nubia Z7, the Ulefone BE X, the Doogee Homtom HT6, the innod D6000, the Elephone P6000, and more. They are all available for impressively low prices, some allowing users to save up to 74% off their original prices. Santa couldn’t have a better help than Gearbest to make everyone’s wishes come true, could he? Besides smartphones, as it was already mentioned, customers can also opt for affordable tablets. One of the best tablets offered by Gearbest on the Christmas Gifts countdown is the Xiaomi Mi Pad 2, which is available for only $248.96. 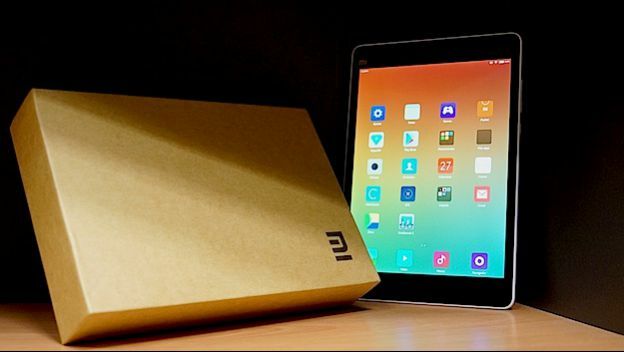 The Xiaomi Mi Pad 2 is one of the most impressive tablets that are on sale in the Xiaomi Flagship Deals. It’s not the one with the lowest price, but it is the one with the best quality/price ratio. The tablet is not only powerful, it’s also quite eye-catching with its full metal body, thin design, and it is also incredibly light, weighing only 322g. The 7.9-inch Retina screen of the device has a 2048 x 1536 pixels resolution and 326ppi pixel density. This display is perfectly capable of ensuring a great video experience and browsing the web will also be a pleasure with this tablet. The Intel Atom X5-Z8500 64bit Quad Core processor clocked at 2.2GHz combined with the Intel HD Graphics makes the device a fast and efficient one. The device includes 2GB of RAM and 64GB internal storage, allowing users to store all their favorite music, videos and games on the tablet. The 8MP rear camera and the 5MP front-facing camera will not only capture great photos, but they will also record great quality video and perform well even in low-light conditions due to the back-side illuminated (BSI) CMOS sensors and the f/2.0 aperture. The Mi Pad 2 comes with a 6190mAh battery that will ensure an impressive playback time on a single charge. The tablet features a Type-C port and it runs on Android 5.1 Lollipop, so it delivers everything users can hope for from tablets that were released this year. The lineup of tablets offered by Gearbest includes a number of Teclast devices, like the X98 Air III, the X16, the Chuwi V10 Pro, the Chuwi Hi8, the Onda V919, the Cube iWork 8 Ultimate, and the Cube i7. Tablets are not the only products offered by Gearbest, customers can also choose between a great number of accessories, like keyboards, covers, and more. All the products are available for extremely low prices, allowing users to save a whole lot of money when purchasing the perfect Christmas gifts for their loved ones. Saving a few bucks on every purchase can seriously add up, without customers even noticing. Action cameras, night vision WiFi cameras, in-ear and on-ear headphones, virtual reality headsets, smartwatches, car DVR camcorders, battery chargers, smart lamp speakers, robotic vacuum cleaners, dimmable bed lamps, flameless candle lights, smartphone protective cases are all on display, alongside some really cool apparel and toys, so everyone can find something for all their loved ones. All you need to do is order the products you need until December 22. By doing this, you will also enter the Lucky Draw, and you can win your most desired item. How great is all this? The Christmas Gifts countdown is about to end, but you still have two days to buy everything you would like to, so hurry up and grab the best deals offered by Gearbest.